The art of renowned cartoonist John Kovalic, coupled with the hilarious "Make a Silly Noise or Miss!" Blast Targeting System, makes Mag·Blast (Third Edition) the perfect card game for two to eight players, ages ten and up. 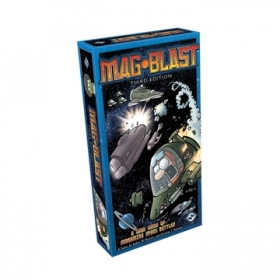 This edition retains all of the fast-paced fun and powerful ships of the previous editions, and it includes eight new flagships, seven ship types, twenty action card types (including fighters and bombers), and three blast card types...including the famous Mag•Blast! 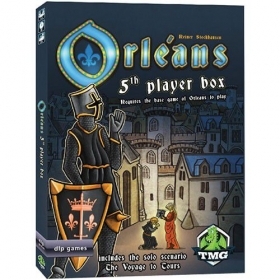 Contains 5th player components for Orléans. 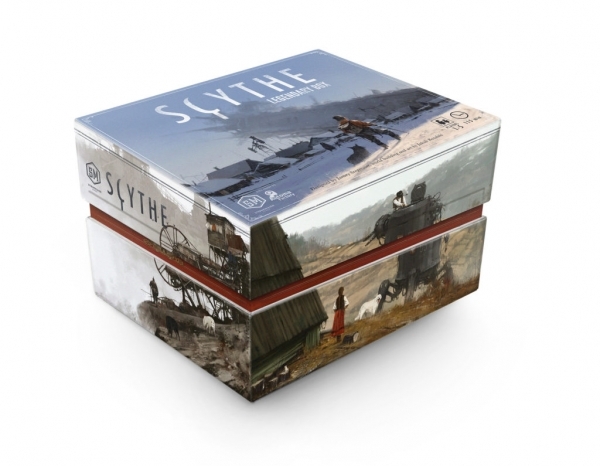 Also includes a solo scenario. 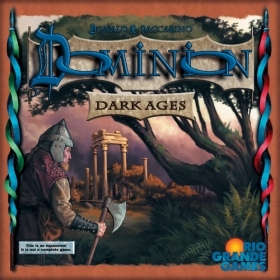 Dominion: Dark Ages is an expansion to the Dominion base sets. It does not contain material for a complete game (specifically, it does not include the basic Treasure, Victory, Curse, or Trash cards). The themes of this expansion are the trash and upgrading. There are cards that do something when trashed, cards that care about the trash, cards that upgrade themselves, and ways to upgrade other cards.